Here’s how to annotate your Gigapan images. Gigapan images have been popular for ten years or so, and the gigapan.org web site claims over 55,000 members. Many of GIGAmacro customers have legacy images on gigapan.org and wanted a way to additional functionality – such as annotations – to their legacy images. 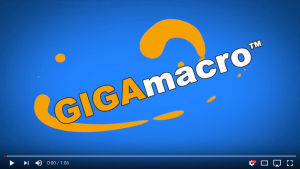 The GIGAmacro team spent a significant amount of effort, with a great deal of input from customers, to find the best way to implement these additional functions, whilst making it very easy to use. In the end, we decided that the simplest way for our users was to let an original Gigapan image stay where it is – we link to it, but don’t change it in any way – and store the new features (annotations, measurements, etc.) in your account on the GIGAmacro Viewer. You DO need an account (free, with registration) in order to add images (or links), and to save your annotations etc. Callan trailed his presentation on YouTube. Choose the + to add an image, and add the GigaPan image link in the box on the ‘add image’ page. Here is a short video that shows the process of adding a link to a Gigapan image, then adding annotations.